Hello, lovelies! I am back with my usual backdrop for my outfit posts. I wish those buildings at my back are pine trees. Lol! Well, it's the middle of the first month of 2017 and guess what I am getting myself busy with aside from blogging? My husband and I also doing VLOG-ging and we have 5 Vlogs so far. I am also doing videos about my fashion haul; you might want to check out our YouTube channel. Please subscribe and leave a comment on my videos and I will surely get back to you. Anyway, today's post is featuring SAMMYDRESS. This online shop never fails to excite me with their newest arrivals. 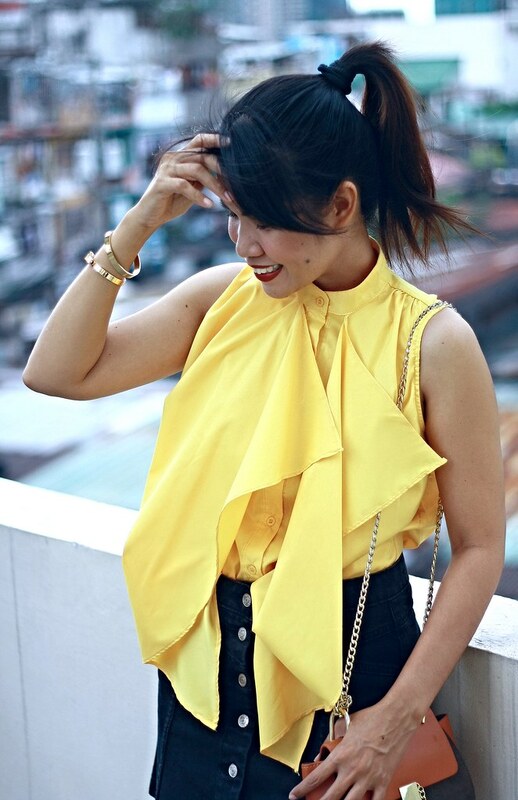 This sleeveless yellow draped blouse lighten up my mood in an instant. I really love its color! 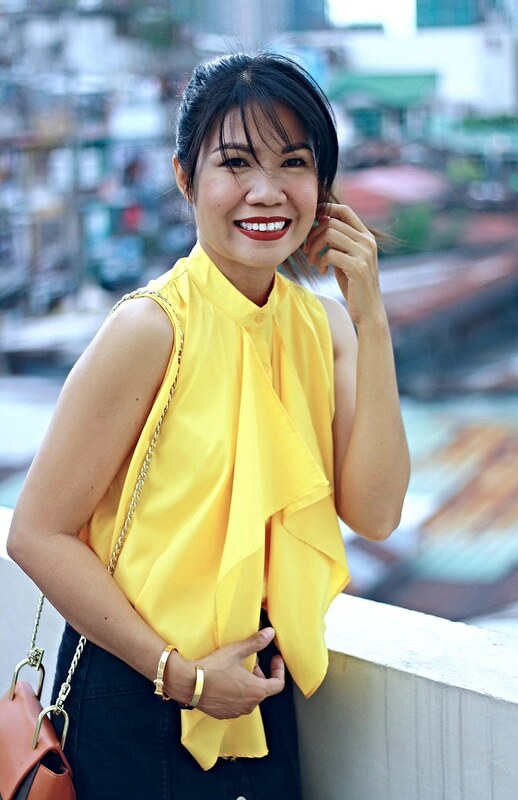 I fall to warm tones so it is given for me to get attracted to warm colors especially earth colors like this yellow blouse. The material's quality is very nice; it feels like silk. I am wearing size Medium. The arm hole is fine; not too big but I find the length of this blouse a bit long. That's the only thing I dislike with this blouse - the length. But it doesn't mean I don't enjoy my new blouse. As you can see, tucking in is the key. I am also thinking of pairing this blouse with my skinny jeans. Nice shirt I like the shoes ! 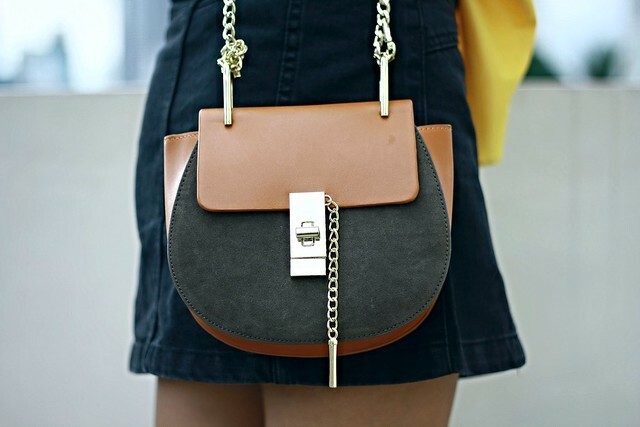 The top and purse are too cute!